The Moat House in Lichfield Street, Tamworth, which was one of the homes of the Comberford family of Comberford, is a handsome Tudor Mansion of dark-red brick with mullioned windows and fine chimneys that has been described by one local historian as ‘Tamworth’s Elizabethan treasure.’ Because of its watery site on the banks of the River Tame, it was necessary to build the house on a series of brick arches or vaults. The front consists of five gables, two large ones extending forward on either side of the house, and three smaller ones in between. Tall chimneys of twisted brickwork complete the typical aspect of an Elizabethan manor house. At the rear, the Moat House faced south to the river, with lawns leading to the water’s edge. On this side, the builder placed the long gallery, the room that was an indispensable part of every Elizabethan manor house, where the family could entertain themselves and their guests. The long gallery was provided with stone mullioned windows with transoms, looking out over the River Tame, and for the visit of the future Charles I a handsome plaster ceiling was decorated with coats-of-arms illustrating the descent of the Comberford and Beaumont families and their descent from the royal family [see Comberford 5: Recusants, royal guests and civil war]. In the 18th century, when the house was owned by the Littleton family, a fine gazebo or summer house was built in the garden. The gazebo is approached by a flight of steps and provides views up and down the River Tame and out across the river meadows. The ownership of the house carried with it fishing rights in both the River Tame and in the moat that surrounded the house, as well the right to keep up to six swans in the River Tame, and the right to be buried in the Comberford Chapel in the north transept of Saint Editha’s, the parish church of Tamworth. The Moat House was ransacked after the sieges of Lichfield and Tamworth during the Cromwellian era, from its gabled roof down to its walled garden. When the English Civil War was finally over, the Comberfords were forced to sell the house, which was bought by Thomas Fox (1622-1666), a Roundhead captain, for £160. The Moat House was bought and sold several times over the following centuries. A collection of documents originally acquired by the Woody family when they came into possession of the Moat House in the 1820s and 1830s and later brought together by the Hollins family, and papers from the offices of Thomas Holmes, solicitors, Lichfield Street, Tamworth, help trace the ownership of the Moat House over the centuries. These papers were deposited by a Mrs Hollins of Blackburn at the Barrow branch of the Cumbria Record Office and are now held by the Staffordshire and Stoke-on-Trent Archive Service and the Staffordshire Record Office. The names of some of the families who later came into possession of the Moat House included Boothby, Littleton, Wolfrestan, Abney, Townshend, Sheal, Woody, Hollins, Lowson, Ashworth, Jones, Roddis, Ronchetti and Paul. After the Restoration, Fox was removed from office by the commissioners of corporations. In April 1663, he made over his estate, valued at £200 p.a., to his brother-in-law, Sir William Boothby (ca 1638-1707), of Ashbourne Hall, Derbyshire, including the Moat House, for £1,540. Fox then moved from Tamworth and settled in London. He died in Dublin in 1666, presumably on a visit to his brother, whose grandson George Fox was returned for Hindon as a Tory in 1741. Unlike his brother-in-law, Boothby was a royalist; he was made a baronet at the restoration, and was High Sheriff of Derbyshire (1661-1662) immediately prior to his purchase of the Moat House. His second wife, Dame Hill Boothby, was a daughter of Sir William Brooke. The sale of the Moat House to Boothby included the moat with the right of fishing in it and in the River Tame, and all profits arising out of the fields and meadows in Hopwas, as well as a seat belonging to the Moat House in Saint Editha’s Church in “the aisle or burying place in the Chancel on the north side of the Church, adjoining the Comberford chapel.” Later that year, William Boothby (1664-1731), son of Sir William and Dame Hill Boothby, was born in the Moat House. In the Hearth Tax Returns of 1666, the Moat House was charged for 15 hearths and was the largest house in Tamworth. In 1671, William Boothby, who later succeeded his nephew as the third baronet in 1710, sold the Moat House to Sir Edward Littleton of Pillaton Hall. The Littleton family moved into the house soon after, and Sir Edward Littleton was still living in Tamworth when he died in the 18th century. In 1709, the Moat House passed to his son, Devereux Littleton, who died in 1747, and the house then passed in turn to his brother, Fisher Littleton, and his nephew, Edward Littleton. In 1751, the Moat House passed by marriage to Edward Littleton’s father-in-law, Samuel Wolfreston, a member of the Wolfreston family of Statfold Hall [see Comberford 5: Recusants, royal guests and civil war]. He sold the house a year later to William Abney, who lived there for some time before selling the Moat House in 1767 to the Townshend family, who had come to live at Tamworth Castle. George Townshend (1724-1807), the 1st Marquess Townshend, who received his title in 1787, was a godson of King George I. During a distinguished military career, he had been present at the battles of Dettingen, Fontenoy and Culloden. 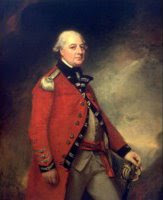 As one of James Wolfe’s brigadiers during the Siege of Quebec, Townshend assumed temporary command of the army when Wolfe was killed and subsequently accepted the surrender of the city. He later rose to the rank of field marshal. Following his death in 1807, his son and heir, George Townshend (1753-1811), the 2nd Marquess Townshend, enthusiastically set about restoring Tamworth Castle. The Moat House became the residence of his steward, John Willington, and then of Lord Townshend until his death in 1811. 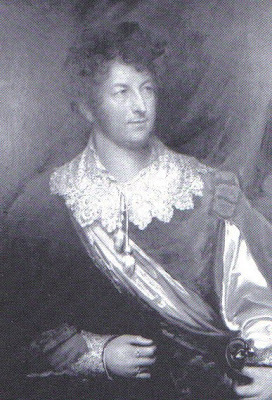 In 1811, both the Moat House and Tamworth Castle were inherited by George Townshend (1778-1855), the 3rd Marquis Townshend, son of the 2nd marquis. Scandal accompanied the breakdown of his marriage to Jane Dunn Gardiner. When she left him and contracted a second, bigamous marriage, he denied her eldest child was his son and heir. Meanwhile, from 1811 to 1815, Sir John Sheal, Baronet, lived at the Moat House as a tenant of Townshend. From 1815 to 1821, Dr Robert Woody was renting the Moat House, and he licensed the house as an asylum. 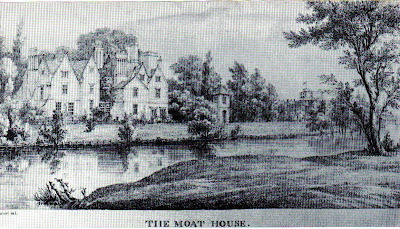 10.11: A sepia drawing dated 1838: ‘South View of the Moat House at Tamworth, Staffordshire. Showing the back of a large brick house of the Jacobean period with eight gables and tall chimneys’ (J. Buckler). In 1821, John Robins, a London auctioneer, claimed Tamworth Castle and the Moat House in lengthy legal proceedings over debts owed to him by the 2nd Marquis. When Robins bought the Moat House from the 3rd Lord Townshend in 1821, the right of fishing in the Moat was mentioned once again in the sale. Robins almost immediately sold the Moat House to Alice Woody and her son Dr Robert Woody. 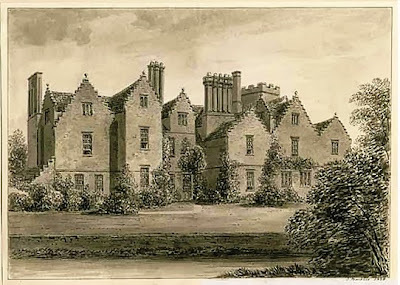 In 1833, Lord Charles Vere Ferrers Townshend, brother of the 3rd marquis, bought back Tamworth Castle for the Townshend family, but Dr Woody remained at the Moat House. The Moat House papers show Dr Woody followed the Townshend and Ferrers peerage case with enthusiastic interest, with a series of cuttings from the Staffordshire Advertiser from 1843. Dr Woody was still at the Moat House in 1845, and in 1856, when he paid for the bells of Saint Editha’s Church to be rung over two days to celebrate the wedding of Sir Robert Peel, 3rd Baronet, and Lady Emily Hay. In 1863, Woody opened the Moat House for the Tamworth Horticultural Show. At the show, over 2,000 people trooped through the avenue of lime trees to admire the display of flowers, fruit and vegetables. The show included archery, dancing to the strains of the Warwickshire Militia Band, and a fleet of pleasure boats on the waters of the River Tame at the foot of the gardens. 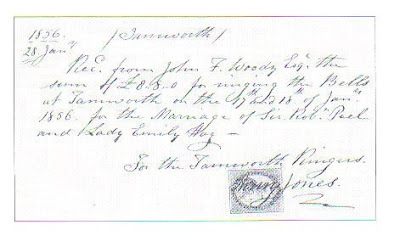 In 1865, Woody had extensive correspondence with C.W. Swinfen Broun of Lichfield on the Swinfen case. After that, the Moat House was used as a private nursing home for the mentally ill. These people were often well-to-do but eccentric old ladies who enjoyed living in the gracious house, and who went out in a horse-drawn landau around the streets of Tamworth to shop, bestowing largesse on the shopkeepers and errand boys who ran out to serve them. Woody’s son, John Francis Woody, was at the Moat House in 1869, and continued to live there until about 1888. 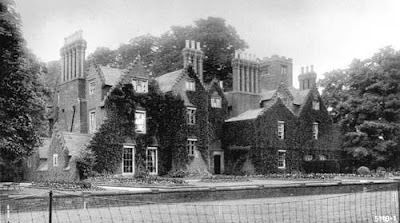 His grandson, Edward Hollins, was the owner of the Moat House from about 1888. After his death, the Moat House and its furniture was sold in 1922. 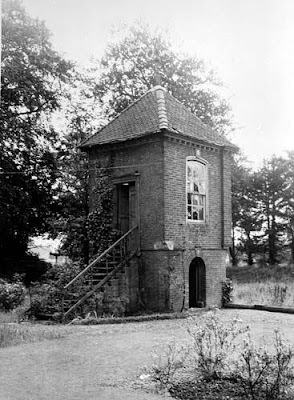 The Moat House then passed to another well-known medical practitioner, Dr William Lowson. When Dr Lowson retired, he offered the Moat House as a free gift to Tamworth Corporation in 1950. Initially, the borough council accepted the offer, but after much discussion, only seven of the 24 town councillors were willing to accept Dr Lowson’s offer. Instead, the town council foolishly decided that it could not afford to look after the Moat House and refused the generous offer. A highly indignant Dr Lowson then sold the mansion to Mr Roy Ashworth and his family, and the Moat House was subsequently divided up into flats. In early 1960, the Moat House was sold by Roy Ashworth to Mrs Blanche Jones, widow of Mr TE Jones, who moved into the house with her two daughters, Mrs Pamela Roddis and Mrs Sheila Egling, who turned the Moat House into the Gazebo Club, which they named after the summer house built in the garden by the Littleton family. In the late 1960s, the house was bought by a Tamworth town councillor, Captain Ramsay Paul, who ran the Moat House as a country club with his son, Trevor Paul. During this period, the long gallery, with the ceiling that had been painted over during Lord Townshend’s alterations, was restored to much of its original condition for use as a ballroom. They first welcomed me to the Moast House in 1970. By September 1971, the house was known as the Moat House Country Club and was under the management of JA Carey, but it was sold soon after to Gordon and Rosemary Ronchetti, who reopened it as a restaurant in June 1972. The Moat House was empty for a number of years until it was sold in 1990. After a period during which the Moat House was run by the Wolverhampton and Dudley Breweries, the new owners re-launched the Moat House as a public house in February 2006. Drummond Wallace was appointed as the manager, and the Mayor of Tamworth, John Wells, pulled pints at the opening ceremony. The Moat House changed hands once again in 2010, and reopened under new management. The restaurant was renamed Comberford’s, and so the memory of the family continued. Ruth McLaren, the general manager, and Max Fletcher, the Head Chef, said soon afterwards that they had a passion for food and attention to customer service, and the new owners were looking for artists to exhibit in order to create a mini gallery, and poets to organise regular poetry readings in the library [see The Moat House]. The Moat House was taken over by the Oxford Hotels and Inns group, and from mid-2012 it was managed by Gill Lakin and Glyn Evans. However, on 8 February 2014, the Tamworth Herald reported that the Moat House was about to change hands yet again. The news follows repair work to the ornate first-floor ceiling being carried out by Tamworth Borough Council and the current tenants. By the summer of 2015, however, the Tamworth Herald was reporting (2 August 2015) that “our magnificent Moat House is beginning to give cause for concern” and that the house was “boarded-up and empty.” However, a report in The Tamworth Herald on 28 July 2016, the Tamworth Herald said the Moat House is to reopen in August 2016 after the lease has been taken on by a local businessman, Martin Young, who also owns the Three Tuns pub in Fazeley. The Moat House today, standing off Lichfield Street, retains its centuries-old access to the banks of the River Tame and peaceful riverside walks. Despite the many alterations over the centuries, it is still possible to imagine it as it was when the Comberford family first lived there. It is approached by an attractive avenue of lime trees and is peacefully secluded from the surrounding bustle. Side-by-side with the Moat House, memories of its former glory can be found in six neighbouring multi-storey blocks of flats off Lichfield Street: Harcourt House recalls a family who were intermarried with the Comberford family and who once lived in the Moat House; Devereux House recalls a family closely linked with the Comberford family in the political life of Tamworth and Lichfield in the 16th and 17th centuries; Strode House is named after a Parliamentarian whom Charles I tried to arrest; Stanhope House recalls a royalist who died on the battlefield; Townsend House commemorates the former owners of both Tamworth Castle and the Moat House; and Peel House recalls the Tamowrth MP who bought up the mortgages on Comberford Hall and who later became Prime Minister. Moat House Papers, D 5368/4, Staffordshire and Stoke-on-Trent Archive Service, Staffordshire Record Office (for examples of references to the right to a seat in Tamworth Parish Church and the the use of the burial place in the Chancel of the Comberford Chapel see D 5368/4/1, dated 1639 and 1663, and D 5368/4/2, dated 1663); Howard Clayton, Loyal and Ancient City, p. 18. Palmer (Town and Castle), p. 502. Harper, Tamworth Past and Present, p. 205. Shaw 1, p. 422; Palmer (1845), pp 493-502; Clayton (1971), passim; Swift, pp 22-23; Stone, p. 60; Documents relating to Tamworth, 1319-1922, D 5368, Staffordshire and Stoke-on-Trent Archive Service, Staffordshire Record Office. Shaw 1, p. 422; Palmer (1845), pp 493-494; Adams, p. 5. Moat House Papers, D 5368/4/2 (1663), Staffordshire and Stoke-on-Trent Archive Service, Staffordshire Record Office; Shaw 1, p. 422; Palmer (1845), p. 494; Adams, p. 6; http://en.wikipedia.org/wiki/Boothby_Baronets (4.6.2008); The History of Parliament, ‘Fox, Thomas, (1622-66), of the Moat House, Tamworth, Staffs. and Whitefriars, London,’ (3.7.2014). William and Hill Boothby were the great-grandparents of Sir Brooke Boothby (1744-1824), a minor poet and member of the literary circle at Lichfield that included Anna Seward, Erasmus Darwin and Richard Lovell Edgeworth; he was involved with the substantial purchase of 16th century stained glass for Lichfield Cathedral (Burke’s Peerage, various eds, s.v. Boothby; Upton, pp 115; http://en.wikipedia.org/wiki/Boothby_Baronets, 4.6.2008; http://en.wikipedia.org/wiki/Sir_Brooke_Boothby%2C_6th_Baronet, 4.6.2008). Moat House papers, D 5368/4/2 (1663); Littleton and Parker family papers, D 260/M/T/2/9. The White House is still standing in Lichfield Street. The index to the Comberford family papers and Moat House papers incorrectly refers to the White House as the White Horse. The George has long gone from George Street in Tamworth, like most of the other pubs in George Street, including the Bricklayers’ Arms and the Empire and Oliver’s (Swift, p. 61; Patrick Comerford, visits to Tamworth, 1970-2016, latest visits 22.3.2007, 28.3.2008, 4.7.2008, 25.10.2008, 26.2.2011, 31.10.2013, 23.5.2016, 5-6.6.2016). Moat House papers, D 5368/4/3 (1708); Moat House papers, D 5368/4/4 (1748); Shaw 1, p. 422; Palmer (1845), pp 494-496; Adams, p. 6. Moat House papers, D 5368/4/4 (1748); Moat House papers, D 5368/4/5 (1751); Moat House papers, D 5368/4/6 (1752); Moat House papers, D 5368/4/7 (1767); Shaw 1, pedigree facing p. *416, p. 422; Palmer (1845), pp 496-499; Adams, p. 6. Moat House papers, D 5368/4/7 (1767); Moat House papers, D 5368/4/8/1-14 (1777-1834); Shaw 1, p. 422; Palmer (1845), p. 499; Adams, p. 6. Woody and Hollins family papers, D 5368/5/2/1-9 (1843-1867), Staffordshire and Stoke-on-Trent Archive Service, Staffordshire Record Office; Woody and Hollins family papers, D 5368/5/3 (1860-1869); Kelly’s Directory of Warwickshire (1876), p. 619; Kelly’s Directory of Warwickshire (1880), p. 700; Kelly’s Directory of Staffordshire (1888), p. 13; Adams, p. 6; Swift, p. 23. Woody and Hollins family papers, D 5368/5/7 (1922), Kelly’s Directory of Warwickshire (1888), p. 9; Kelly’s Directory of Staffordshire (1888), p. 319; Kelly’s Directory of Staffordshire (1892), p. 328; Kelly’s Directory of Staffordshire (1896), p. 353; Kelly’s Directory of Staffordshire (1921), p. 413; Adams, p. 6. Adams, p. 6; Swift, p. 23; Tamworth Herald, 22.1.1960; John Harper, ‘The Moat House – Tamworth’s Elizabethan treasure,’ Tamworth Herald, 4.3.2010, p. 32. Patrick Comerford, visits to Tamworth 1970-2013, including conversations with members of the Paul family, 1970 (latest visits 22.3.2007, 28.3.2008, 4.7.2008, 25.10.2008, 26.2.2011, 31.10.2013, 23.5.2016, 5-6.6.2016); Lichfield Mercury, 2.6.1972; Tamworth Herald, 212.1.1960, 21.1.2010; communication from Mr Nick Roddis to Patrick Comerford, 3.6.2009, 13.5.2010. John Harper, Tamworth Past and Present, p. 205. Patrick Comerford, visits to Tamworth 1970-2013 (latest visits 22.3.2007, 28.3.2008, 4.7.2008, 25.10.2008, 26.2.2011, 31.10.2013, 23.5.2016, 5-6.6.2016). Swift, p. 23; John Harper, Tamworth Herald, 4.3.2010, p. 32; Patrick Comerford visits to Tamworth 1970-2013 (latest visits 22.3.2007, 28.3.2008, 4.7.2008, 25.10.2008, 26.2.2011, 31.10.2013, 23.5.2016, 5-6.6.2016). Chris Arnold, ‘Haunted Tamworth,’ The Tamworth Herald, 31 August 2009. Last updated: 29 October 2008; 4 April 2009, 10 June 2009, 15 August 2009; 16 July 2010, 23 26 December 2010; 3 March 2011; 30 May 2012; 4 November 2013; 8 February 2014, 3 July 2014, 29 September 2014; 19 May 2015, 11 and 12 August 2015; 13 June 2016, 27, 29 and 30 July 2016.